The bite last night was short lived with about an hour or so when almost all boats got bites. The sounder showed more big Eyes than I have seen since a few years ago when we had epic big eye fishing down in the Washington Canyon but it was not until almost dark when we got our bites yesterday. It seemed wind the wind was howling that was no tuna activity but we did have a short window when the dropped below 15 knots and that is when we got our bites. It took us about hour and a half to boat our three big eyes and all were caught on Shutes with large Ballyhoo. About half our 12 rod spread is meat and the rest is a mixed bag of lures, bars and chains. This is our third trip in a row where we caught at least one big eye and have not been skunked yet this year when we specially targeted big eyes. 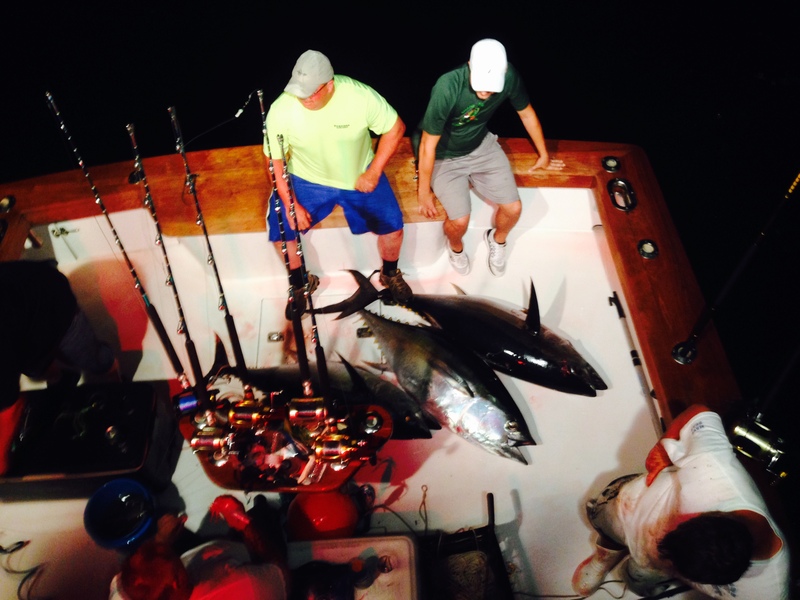 If a big eye is on your bucket list give us a call and we can discuss this. When we finally got our fish taken care of and ready to go back trolling the wind had picked up again in the canyon and we headed to from home but could only make about 11 knots running almost directly into the wind to about the 40 fathom line when we were able to run faster and it just continued to get better the closer we got to Cape May. 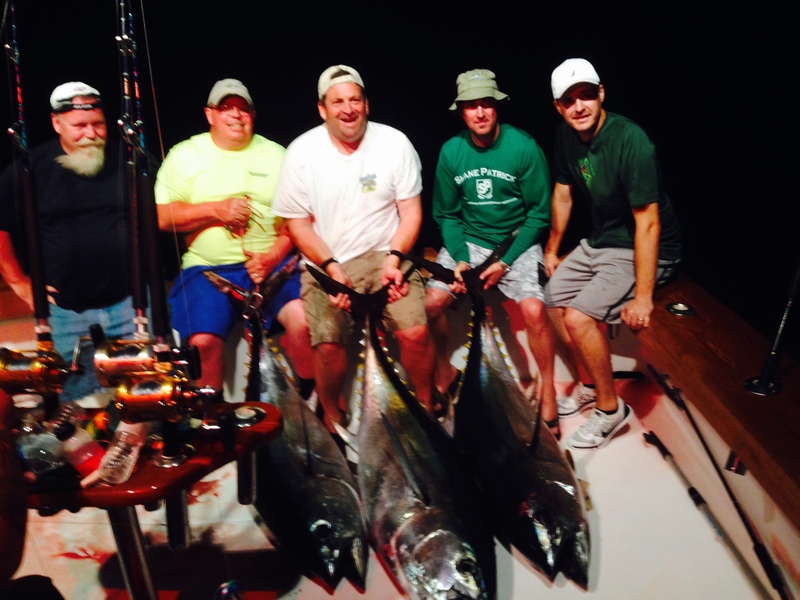 We are running 12 hour open boat tuna trip both Saturday and Sunday. Contact Capt John for details.